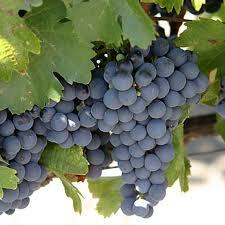 Malbec is a variety of purple grape used in making red wine. The grapes tend to have an inky dark color and robust tannins. Long known as one of the six grapes allowed in the blend of red Bordeaux wine, the French plantations of Malbec are now found primarily in Cahors in the South West France region. It is increasingly celebrated as an Argentine varietal wine and is being grown around the world. Called Auxerrois or Côt Noir in Cahors, called Malbec in Bordeaux, and Pressac in other places, the grape became less popular in Bordeaux after 1956 when frost killed off 75% of the crop. Despite Cahors being hit by the same frost, which devastated the vineyards, Malbec was replanted and continued to be popular in that area where it was mixed with Merlot and Tannat to make dark, full-bodied wines, and more recently has been made into 100% Malbec varietal wines. A popular but unconfirmed theory claims that Malbec is named after a Hungarian peasant who first spread the grape variety throughout France. However the French ampelographer and viticulturalist Pierre Galet notes that most evidence suggest that Côt was the variety’s original name and that it probably originated in northern Burgundy. Despite a similar name, the grape Malbec argenté is not Malbec, but rather a variety of the southwestern French grape Abouriou. Due to the similarities in synonyms, Malbec has also been confused with Auxerrois blanc, which is an entirely different variety.